This may sound obvious – but we are going to stress it anyway. If you have enlisted a dog walkerthat is not going to be able to keep up with the energy of your dog, you are letting your pet down. Willing to go the extra mile to make sure your dog receives the exercise it requires. A consultation whereby the potential dog walker meets with you and your dog is the ideal time to ask any questions. Let your expectations be known before hiring. If you expect your dog to receive a long 30-minute hike, ask the potential dog walker if this is something they can commit to. Ensuring your dog maintains a consistent schedule is great way to ensure their happiness from day to day. To do this, it is imperative that your potential dog walker understand the needs of your dog including the times they are to get some exercise at. The dog owner can ensure that their furry best friend maintains a regular routine. Reviews are your best friend here. If possible, rely on those dog walkers that have been referred to you by people that you trust. Organizing is all about keeping things in proper order for the comfort of the pet and its owner. If the goal is for your dog to shed a few pounds it, an organizational dog walker should understand this and the necessary steps to take in achieving this goal. If a dog owner is hoping to reduce the mess it comes home to, an organizational dog walker would understand the purpose of their exercise or pet sitting service, should be to keep the dog occupied and entertained to the point that it no longer needs to rely on couch cushions or electrical wires as its source of enjoyment. Organization allows you to get the most out of your investment, giving you as the pet owner a sense of control and increased productivity. Organizational people are more efficient, have better management skills, are more trustworthy, reduce the amount of stress you encounter and enable you to track progress easily. Most reputable dog walkers offer free consultations to meet your pet before agreeing to paid services. This is the time to ask these questions and get a better feel for their personality and skill set. Look, the last scenario you want as a dog owner is to run in to an emergency and not have someone to care for your furry best friend while you are away. A dog walker with a flexible schedule and adaptability is extremely useful when deciding which dog walking services provider to choose. Dog walkers that are flexible reduce the stress you face as a dog owner as you know you can always count on them when you are in a pinch. This ensures your dog always has someone caring for them. Simply request their schedule when meeting them. Obviously, to ‘test’ their flexibility and adaptability it will require real life scenarios to occur and see how they react. Some dogs are highly unpredictable. A calm dog owner realizes this and can examine the situation in is entirety to craft a successful solution. On the other hand, a less experienced, impatient dog walker may choose to react to a situation without fully understanding the entire situation. Rather than immediately disciplining a dog for barking, there might be underlying causes for its actions. A sense of calm for dog owners! Knowing that your dog is in good hands while you are away is a great feeling. Reviews are useful here as well as asking qualifying questions during the consultation process with your dog. Have you ever in your life preferred dishonest people when it comes to your own friends? No? Then why would you allow your dog to be left under the direct supervision of someone that you can’t trust is telling you the truth? News flash – you shouldn’t! You can trust them and what they are telling you. If your dog requires a certain level of exercise, say a 15-minute jog, rather than a walk at a snail’s pace, you are going to want to be assured this is happening. Not only for the sake of your dog’s health, but to ensure you are getting your money’s worth. Test them! Unfortunately, unless you rely solely on word-of-mouth, there is going to be a bit of trial and error to determine whether your (potential) dog walker is honest. We all understand the idea of hiring your best friend’s teenaged daughter because they could use the extra ten bucks. However, is that really who you want to entrust the safety of your dog to? With such a huge number of dog walkers available for hire, why not seek out those who are experienced and positively reviewed. Doing so will be worth the extra dough! They can show you their portfolio of happy pets. They can provide you with reference information. They know the best routes and how to deal with all kinds of dog temperaments and attitudes. It should be relatively apparent once your dog walker meets your pet. No two dogs are the same and an experienced dog walker will likely take little time to get to know your dog and build a relationship. Every dog walker is essentially a business owner. As such, they should act in a professional manner when meeting you and your pet. Additionally, the service booking experience should be more than adequate right through the completion of services. It leads to more repeat business. 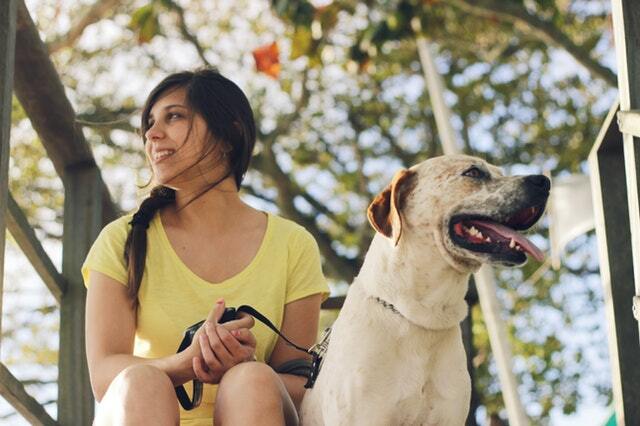 This might sound like it only benefits the dog walker, but that’s not the case. Those businesses that provide great customer service tend to do get more referrals and business overall. By utilizing a dog walker skilled in customer service, you can feel confident that they are providing similar service to other dogs in your area. Reviews once again will be your friend here. Additionally, you will want to make sure you take full advantage of free consultations to gain a full understanding of your dog walker’s personality and customer service traits. This most likely the top skill you should be requiring from your dog walker. Their time should be spent with the dog, playing with them, at times providing subtle teaching moments and paying attention to their reactions. By the end of the consultation process there should be a good understanding of how the dog walker and the dog communicate. A seamless transition from you (the dog owner) interacting and keeping your dog company, to the dog walker. This is mostly subjective, but in our opinion, if your potential dog walker isn’t on the floor getting to know them on their level, it may be tough to fully build that relationship.